One of the most difficult things we commonly need to explain to people, is that we are not a service club, in the same way as perhaps Rotary or Lions Clubs. We do not meet each week or month. Membership to the Order is an award. The person who has nominated you has thought that the contribution you have made to either your community or to humanity, has warranted significant recognition. We like to say that we are not a working Order, but rather an Order that does work. Being a Royal Military Order, the principle objective of our fund raising activities, is to provide relief to the families of killed or wounded servicemen and women serving in our armed forces. 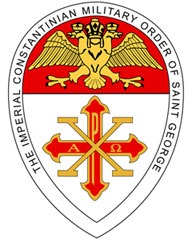 Whereas we encourage and support any Knight or Dame who steps forward and wants to play an active role in our Order, we cannot emphasize enough that to be invited to join our Order is an “Award” The only thing that is expected of you, is that you attend an annual Investiture Ceremony to support the new postulants entering The Order. However, if you are the type of person who would like to be an active member, we have a number of tasks to be performed. Our ranking structure reflects and awards by promotion, those individuals who would like to take a more active role within The Order.